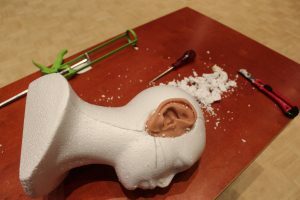 Senses Working Overtime encompasses a great variety of performative installations and sensory performances. We challenge you to take an active part and to open up all your senses for this idiosyncratic collection. A performative sound installation in which every visitor wears a ‘silent disco’ FM headphone. Experience Liermans’s hybrid and radiophonic sound world with acoustic music, vocal experiments, foley, ‘Afrique Concrète’ and abstract electronics. BLOOS is about things we don’t talk about. About sensual pleasures such as slipping your hand into a bag of rice, or melting an ice cube on your chest. About fancying someone, being fancied, and longing for something. For BLOOS, Boneschansker has travelled the country interviewing dozens of women between ten and a hundred about sensuality and intimacy. Lying in a single bed, you listen to the story of one of these women. Each bed tells a different story and you can visit several beds in succession. BLOOS is physical, sensual, open: a total experience free of inhibition. 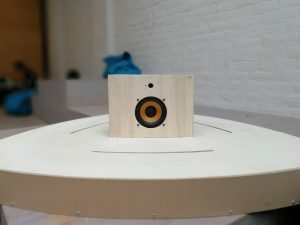 Under the title Microcakes, four students from the Music and Technology department of Utrecht’s University of the Arts are developing their audio-culinary installation Microchaps. They are researching the relationship between sound, taste and eating, and are moulding this into a playful, interactive and tasty experience. Together with your fellow guests, you are in charge of the composition or can influence the acoustic landscape by eating delicious hors d’oeuvres. Microchaps uses new techniques such as ‘Face-tracking’ and ‘Capacitive-sensing’ to measure how you eat, how fast you chew and what you eat. Pull up a chair at Microcakes’ Microchaps where your senses are stimulated by eccentric tastes and innovative sounds. Composer/installation artist Dyane Donck works on projects in which she combines contemporary composed music with pop and electronic music. She develops new ideas and techniques which build a bridge between everyday reality and the art world. By means of headphones and a special 3D audio technology, they create an entirely new concert experience: very intense, extremely intimate and private, and overwhelmingly three-dimensional. Raumklang is a project aimed at creating location-specific and four-dimensional sculptures consisting of sound, space and time. These sculptures reflect, reinforce and deepen the auditive properties of the surrounding architecture. You encounter a three-dimensional object which you can only perceive with your sense of hearing. By moving through the space, you experience the three-dimensional form of the sculpture and the corresponding acoustic composition develops in the fourth dimension: time. Eirik Brandal is fascinated by ‘circuit bending’, an electronic tool which can generate unexpected sounds. 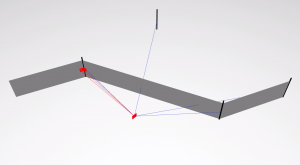 This is reflected in his new installation ihscale, an interactive instrument. 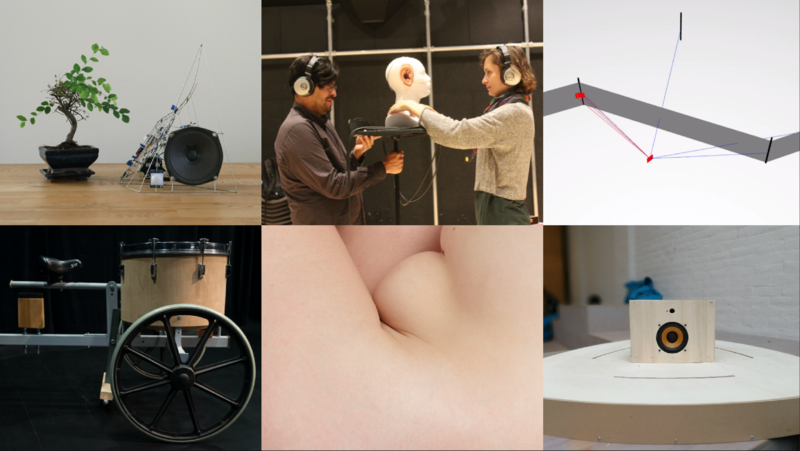 ihscale’s interactive sculptures are equipped with sensors and produce tuned sound waves. The sensors are spread out over the concert venue. By moving around in the space you produce chords, and in a playful manner create a composition, with the help of your fellow guests.